Description: Located in a quiet area by No.4 and Williams Rd. Solid built 3 or 4 bedroom home on a larger and wider 7,366 sq ft CORNER LOT with back lane access in popular Shellmont neighbourhood. Features H/W flooring, newer window and roof. Suite potential in basement. 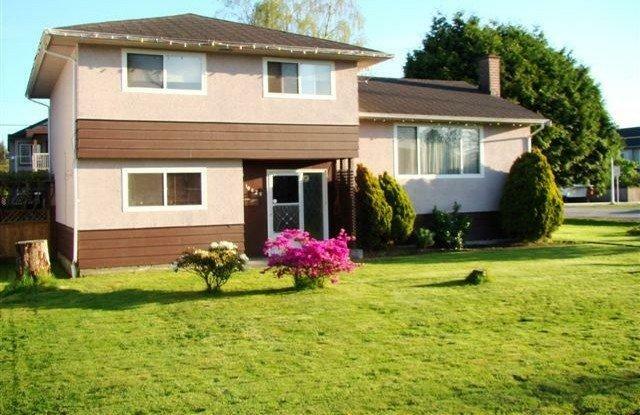 South facing backyard with a large rear deck and garage off the lane. Close to schools and shopping. New larger homes on same block.